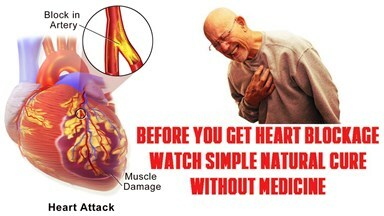 Blockage in heart arteries is one of the main reasons behind severe heart failures and death. Higher chance for heart blockage is there for regular cigarette smokers and having high cholesterol, here is good information that, by adding some natural food items in our diet we can control or avoid this life threatening heart blockage up to a limit. It is always better to quit your bad habits like cigarette smoking and all. Garlic: Presence of thioallyls will reduce the chance of blood clots. Turmeric: Curcumin in turmeric will be fight against inflammation, fat deposit and blockages in arteries and hence will reduce the chance of a heart blockage. Oily fishes: Omega 3 fatty acids in oily fishes will fight against heart failures. Omega 3 fatty acids can clean your arteries and keep a healthy heart. Broccoli: Vitamin K rich broccoli lowers the cholesterol and high blood pressure levels. It reduces the chances of artery damages. Orange: Vitamin C contains in oranges will helpful for a strong artery wall. Fibre contains in this fruit will also lower the cholesterol. Tea: Catechins antioxidant presence in tea will strengthen the artery wall and reduce the chance of blood clots. Nuts: Vitamin E rich nuts can protect the artery walls. Spinach: Presence of carotene will avoid cholesterol clogging in artery walls. Water Melon: Improves the blood flow due to the presence of nitric oxide. There are several other food items also to improve your heart and artery wall health. Some of these foods can even reverse a clogged artery situation. It is always better to add some of these foods in your daily diet to have a better heart and avoid blockages.